Complete our simple online registration and get your number today! The deadline for getting your consignor number online for this Fall event is October 5th . Consignor numbers consist of the first letter of your last name along with your assigned number. Everyone must pre-register to obtain a consignor number. 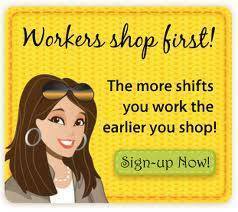 ALL RETURNING CONSIGNORS – need to sign-up for the current event by clicking here. The Consignors Only Private Sale will be held on Tuesday, October 11th. No children under 10 are permitted during the private sale. You will receive a pass to the private sale during drop-off. There is a minimum of Unlimited acceptable items required to earn a private sale pass. All others will be sorted and ready for pick-up. You can pick-up your check and unsold items on Wednesday, October 18th, Noon (12:00pm) to 7:00pm. Please refer to our CALENDAR.